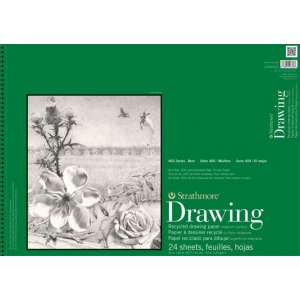 This bright white drawing paper is rated very good for graphite pencil colored pencil charcoal and sketching stick. 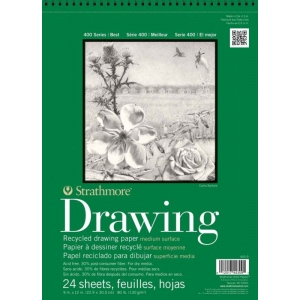 * Also rated good for soft pastel oil pastel marker and pen and ink. * Pads feature micro-perforated sheets. * Medium surface 80 lb. Acid-free.